Our Lady of Fatima Church - Stained Glass Inc. 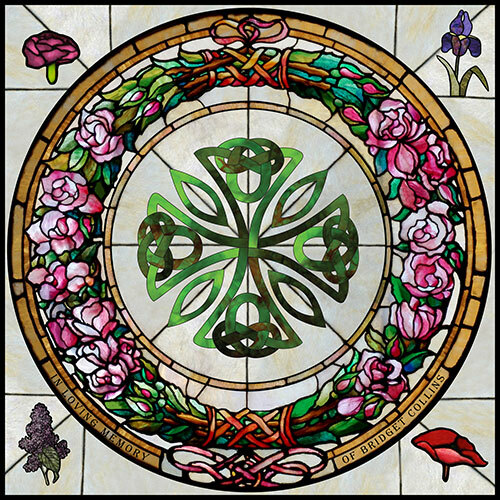 When a member of the church passes on, a stained glass window is a great way to memorialize them and few memorials have the closeness and meaning of a Stained Glass Inc. window. Seen at every church service, a memorial stained glass window reminds us of those who have gone before us and who have helped lay the foundation for the current church. When Our Lady of Fatima in Shady Cove, OR needed a memorial window they turned to Stained Glass Inc. They selected a design from the design library and asked for flowers to be added. Working by phone calls and email several designs were presented, modified and reworked until they were perfect. Once the committee was fully informed and satisfied with the colors, shape, design and text, the window went to production. A short two weeks later the memorial stained glass window was delivered. The next Sunday the congregation got to see and appreciate the committee's work. The result? The windows are good. They made the church look better.